After a day on the water, my group arrived at the remote Ryonggang Hot Springs Resort. The main selling point of this resort was that the hot spring waters contained "health giving", "therapeutic" RADON. I politely passed on taking a dip in the Radon Hot Springs. After a day on the water, my group arrived at the remote Ryonggang Hot Springs Resort. 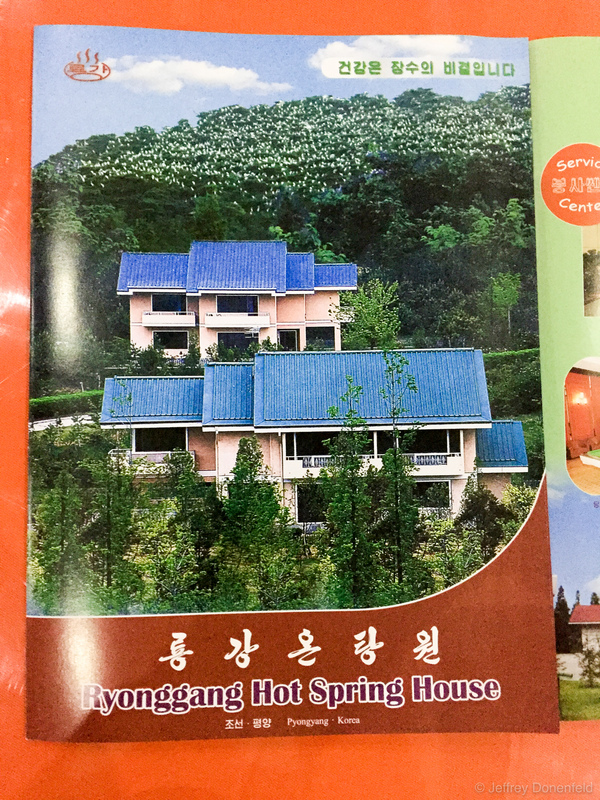 The main selling point of this resort was that the hot spring waters contained “health giving”, “therapeutic” RADON. I politely passed on taking a dip in the Radon Hot Springs.